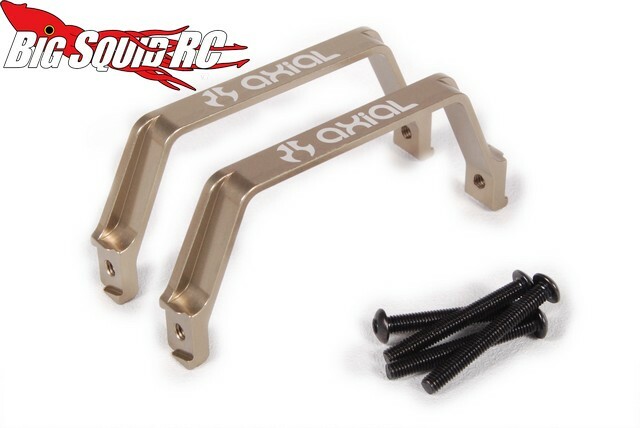 New Axial AX10 Aluminum Option Parts « Big Squid RC – RC Car and Truck News, Reviews, Videos, and More! There is no better way to beef up (and bling out) your rig than with aluminum parts. 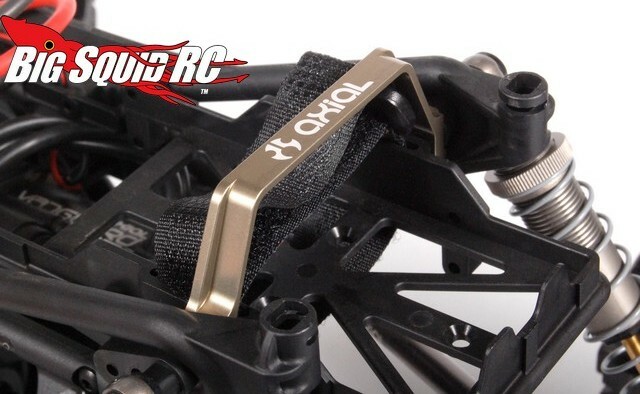 Axial Racing has announced three new aluminum upgrades for their popular AX10 trucks. The Axial AX10 Aluminum Shock Tower Brace is machined from aluminum and is best suited for high power applications and general bashing. 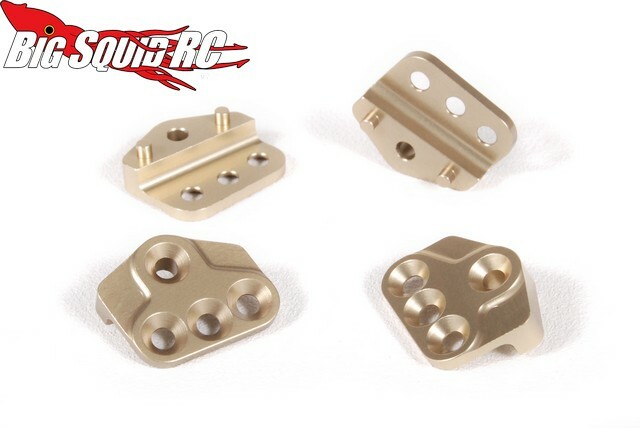 These help eliminate chassis flex and are compatible with second gen AX10 chassis plates. They come in pairs with a part number of #AX31101, a street price of $36, and they are available right now. 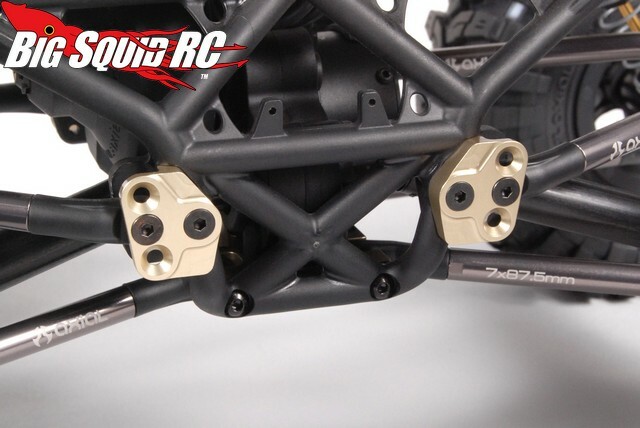 The AX10 Aluminum Upper Link Capture Plates help reinforce the upper link mounts and are hard anodized for durability. If you bash your AX10 hard these should come in quite handy. These have a part number of #AX31099, a street price of $36, and they are available right now. 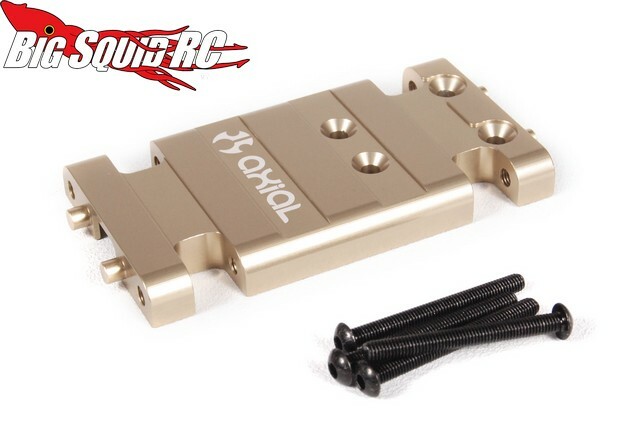 To add even more bling, you can pick up one of the new Axial AX10 Aluminum Skid Plates. The skid plate adds rigidity to the chassis and will give your buddies an eye full of bling should you ever end up on your lid. 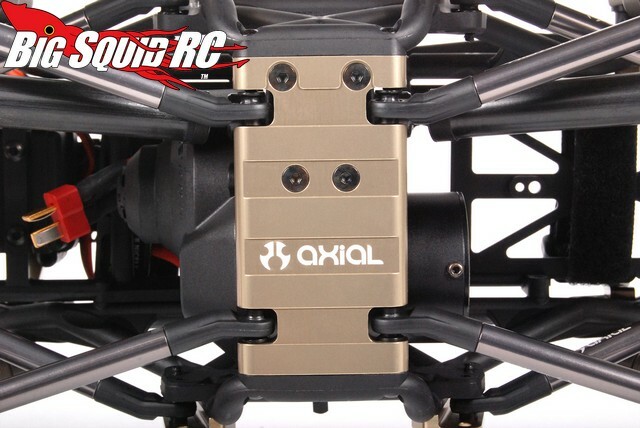 The Axial logo is laser etched and it comes with all the hardware you need for installation. The part number is #AX31100, it is priced at $32, and you can get your hands on one right now. Our editor Brian is such a nice guy, HERE is a TGIF Mystery Link just for him.